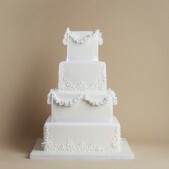 For traditional wedding cake inspiration, view our Timeless Collection gallery. 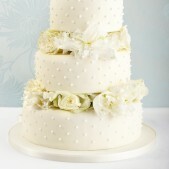 A traditional white wedding cake is the ultimate finishing touch to any big day. 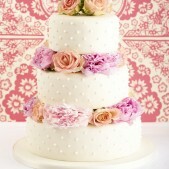 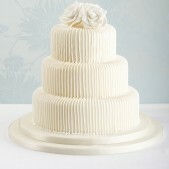 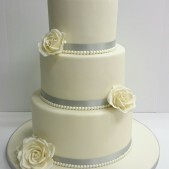 Many couples choose a classic tiered wedding cake that has a fruit base and is finished with white icing. 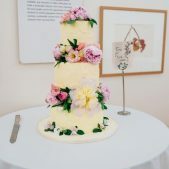 However it is becoming increasingly popular to mix and match the flavours within the tiers of the cake to satisfy the differing tastes of guests and often the bride and groom themselves. 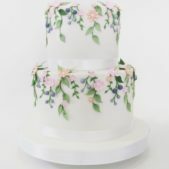 A traditional wedding cake is both elegant and beautiful and the cutting of the cake is usually seen as an expected item on the wedding breakfast agenda or reception. 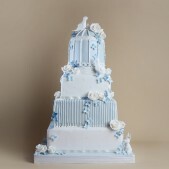 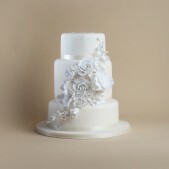 We hope to make every one of our wedding cakes a special part of your big day. 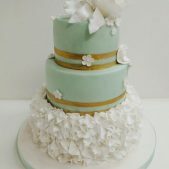 Traditionally a wedding cake would have been made with tiers of fruit cake, wrapped in marzipan and covered in a layer of smooth royal icing. 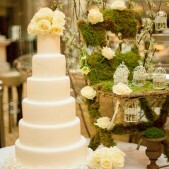 Pillars would have been used to separate the tiers. 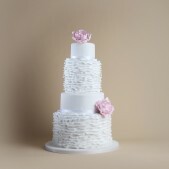 Fashions have changed and it is much more likely that the bride and groom of today will have a combination of our delicious flavours in their traditional wedding cake tiers. 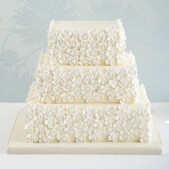 Perhaps rich Belgium chocolate truffle cake on the bottom, a zesty lemon drizzle on the second tier topped with a moist fruit cake to be saved for the first christening cake. 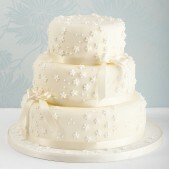 Any combination is possible so please just ask. 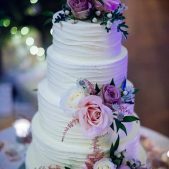 In terms of decoration, we specialise in making the most amazing hand crafted sugar flowers which can be used to embellish your traditional wedding cake. 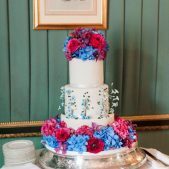 Perhaps you want to continue the theme of your flowers into your cake decoration with some stunning sugar roses, orchids, nacissi or stephanotis. 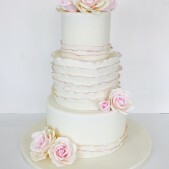 We can make pretty much any flower in sugar so please just ask. 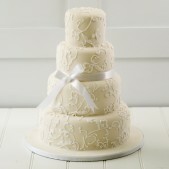 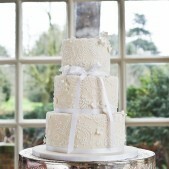 We also regularly transfer the pattern of the bride’s dress onto the cake which looks beautiful. 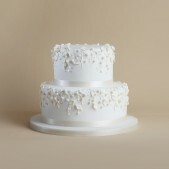 The lace effect on the side of the traditional wedding cake looks beautiful in photos particularly when the bride and groom are cutting their cake. 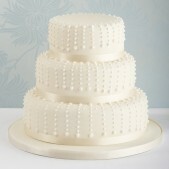 Anything is possible with regard to our traditional wedding cakes so please get in touch with us and share your ideas.